The General Services Administration (GSA) has issued a directive allowing federal agencies engaged in emergency relief activities to raise dollar thresholds at which streamlined procurement rules can be used. Under GSA’s temporary rules, the micro-purchase threshold is raised from $3,500 to $20,000. (In a recent Class Deviation, the Dept. of Defense raised its standard micro-purchase threshold to $5,000.) In addition, GSA raised the simplified acquisition threshold from $150,000 to $750,000 for non-commercial items and from $6.5-$7.0 million to $13 million for commercial items. With micro-purchases the federal agencies can bypass many of the ordinary competitive requirements under the Federal Acquisition Regulation (FAR). For instances, holders of Governmentwide purchase cards (GPC) can make contract awards without soliciting competitive quotations if they consider prices to be fair and reasonable. Micro-purchases do not require provisions or clauses. The FAR’s detailed rules on micro-purchases are set forth primarily in FAR 13.2. 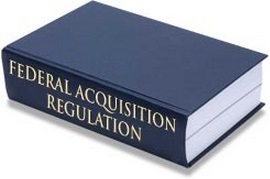 FAR Part 13 governs purchasing below the simplified acquisition threshold. 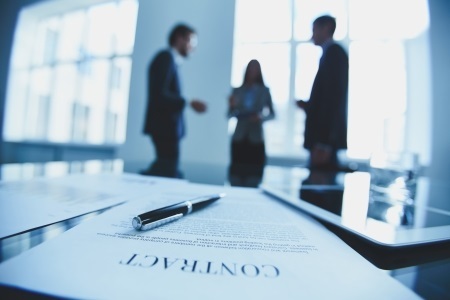 It sets forth shorter terms and conditions, especially in the areas of reporting requirements and subcontracting. Simplified acquisition transactions above the micro-purchase threshold are reserved for small businesses. The threshold increases will remain in effect until December 31, 2017. 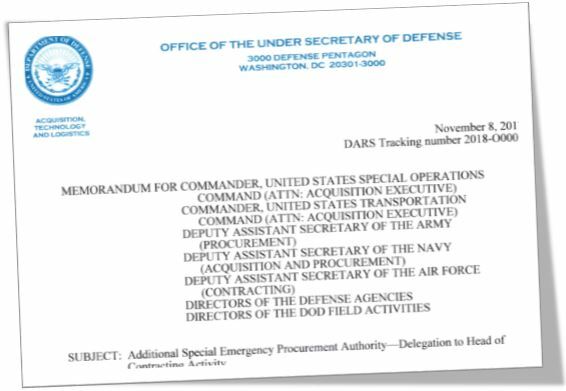 GSA’s new guidance is tied to the Presidential declaration of Hurricane Harvey as a “major disaster.” Meeting the legal definition of “emergency” in GSA’s FAR Class Deviation entitled Exercise of Special Emergency Procurement Authorities means that the emergency acquisition flexibilities listed in FAR 18.2 are available for use, along with the existing acquisition flexibilities enumerated in FAR 18.1. Agency contracting officers are required to give preference to local firms in the disaster area in accordance with the Stafford Act, implemented at FAR 26.2. GSA notes that contracting officers should first consider small business local area set-asides when feasible.